Home » Blog » Dissertation » Topics » Accounting » 41 Accounting Dissertation Topics to Start Writing Your Dissertation Now! Accounting is a vast topic area and encompasses many sub-topics. Choosing appropriate accounting dissertation topics can be difficult and overwhelming. 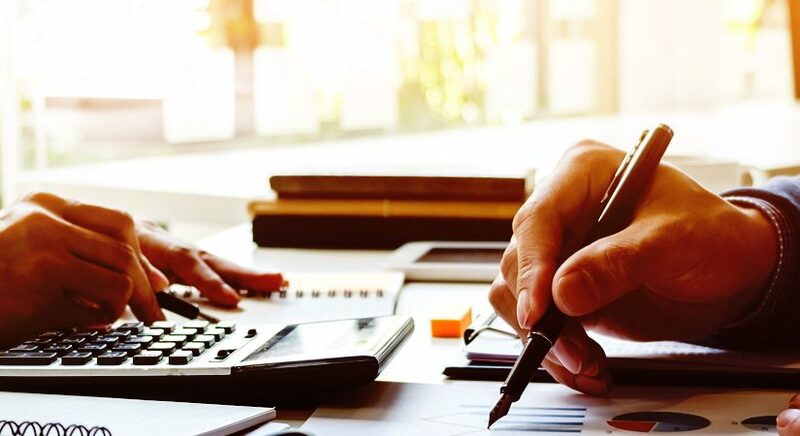 Research topics in accounting typically relate to fundamental topics in accounting as well as statements that can be corroborated or challenged and present scope for research in accounting. Choosing a dissertation topic in accounting is also a rewarding activity if you have a broad idea of the scope of research in accounting that you are willing to pursue. Educational organizations generally segregate learning objectives based on the level of study and hence finding dissertation topics in accounting that correspond to your level of study should be the ideal beginning. The following is a list of some current accounting topics for dissertation that can help you get started on a challenging yet oddly fulfilling journey in your quest to become a true academic. Either, you are pursuing an undergraduate degree and seeking research topics in accounting for undergraduate, or is enrolled in masters to become an accounting graduate and need master thesis accounting topics, you can get some unique dissertation topics for accounting students here. A systematic review of the financial accounting tools for monitoring liquidity levels. Capital Structure determinants of SMEs- the case of the Nigerian SME sector. A discussion on the Asset liability management in the Australian banking sector. Check out the compilation of financial accounting dissertation topics here. A comparison of the role of management accounting versus financial accounting in a textile factory unit. An exploration of capital budgeting under restraint in developing economies. An explorative analysis of the complementary and competing nature of Activity Based Costing and Just in Time methodology. A comparison of payback, IRR and ROI as effective capital budgeting techniques. Many accounting students search for topic in management accounting to write their research work. We know your need and have made a seperate management accounting dissertation topics post to fulfil this need. A survey on the increasing incidence of textual analysis in reading financial statements. An analytical discussion on the major ethical issues in accounting and finance within the context of the oil and gas sector. A review of the degree of application of IFRS in Asia Pacific- the case of Malaysia and Singapore. A theoretical evaluation of the relationship between stock performance and CEO qualities. Considering an enormous amount of searches in this field, we have created a completely separate topic post for our visitors on accounting and finance dissertation topics. A comparative review of the differences between in-house and external auditors. An analysis of the tradition of auditing consultancy firms providing audit and assurance services in emerging economies. What are the challenges presented by fair value measurements to external audits? Lessons from the UK. How is risk-based auditing different from traditional auditing? Looking for more topics, check the auditing dissertation topics post contains more than 20 topics for you. A comparative analysis of the traditional versus new taxation policies for dividends in developed countries. A rationale for tax exemption of non-profit organizations. How are SMEs impacted by taxation policy in developing countries? A discussion on the changes in health insurance taxation policies in the US. An argumentative paper on the statement- Taxation is a human rights policy. A literature review on the magical wonder of the double entry bookkeeping model. An exploratory paper on the role of the double entry bookkeeping model and the creation of modern accounting systems. A comparative analysis of the element of rationality in the Single versus Double entry system of bookkeeping. How does early bookkeeping education impact subsequent accounting achievement of students at the college level? The role of electronic bookkeeping may negate the need for an accountant- a discussion. A systematic review of the major limitations of accounting for E-commerce? Taxation issues in electronic accounting- destination-based or resource-based? A look at the decision support systems available for the online accounting environment. Challenges for electronic accounting of internet service provision- an investigative analysis. An understanding for the development considerations of accounting information systems in multinationals. How do large accounting information systems safeguard data privacy? Evidence from the UK? A research based discussion on Accounting Information Systems in developing countries. A comparative analysis of Accounting Information Systems for decision making in medium and large enterprises. Cloud computing and the crucial role of data management in global accounting information systems. How relevant is the application of ethical judgment to the quantitative nature of accountancy? Arguing a case for ethics education in accountancy programs at North American Universities. A review of the major accounting frauds in the past ten years and how ethical judgment could have altered the course of the events. How effective has the Sarbanes-Oxley Act (2002) been in addressing unethical accounting conduct at major American banks? Myopic management and its relationship with firm valuation-a look at selected American firms.